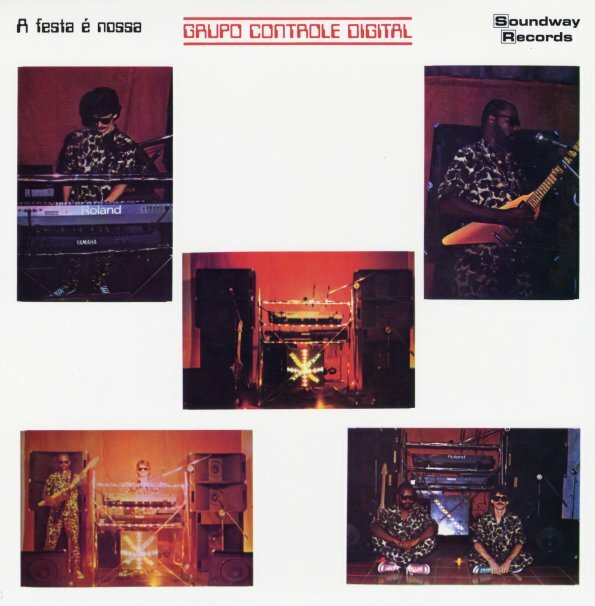 A rare Brazilian album from the early 80s, but one that's quite different than you might expect – as these guys have a clear love of keyboards that resonate with some of the bigger electro pop acts of the UK and European scene of the time! The group's really just a duo – Billy Jaguar and Gel Valiery, who play keyboards, guitar, drums, and also trade vocals – usually in a mode that's relatively spare, and which makes for these melodic numbers that are a few steps back from more produced work of the mainstream. That quality really gives the songs a lot of charm, even if you can't understand the Portuguese lyrics – and titles include "Panico Geral", "A Festa E Nossa", "Barra Pesada", "Primavera", "Noite Eterna", "Sentimentos", "O Gato E O Rato", and "Vital O Marginal". © 1996-2019, Dusty Groove, Inc.